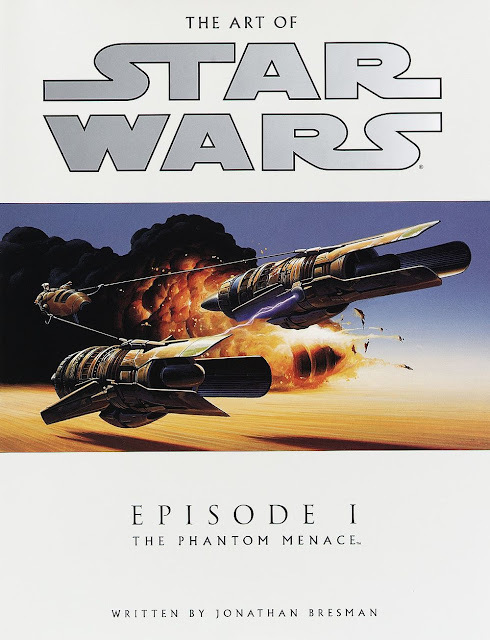 A book which delved into the 'art' of Star Wars Episode I: The Phantom Menace was published on this day back in 2000. The Art of Star Wars Episode I: The Phantom Menace, which was published by Del Rey, featured conceptual illustrations, sequential art and fully executed paintings from the first film of the Prequel trilogy. The volume in the "Art of" series was discovered in the Lucasfilm archives. It detailed The Phantom Menace's use of traditional and high-tech media and explored the creative impulse behind all the designs. Inside are key action sequences from the film, including the Podraces on Tatooine and the ground and space battles; interviews and photos of the artists at work and how the exotic environments of Naboo, Tatooine and Coruscant were captured. It also touched on the visual evolution of the battle droids, the Trade Federation ships as well as a showcase of poster art for Episode I. What were your favorite aesthetic sequence from The Phantom Menace? Let us know in the comments below.